The Multicultural Greek Council (MGC) strives to create and maintain an all-inclusive and culturally diverse environment, by fostering cultural awareness and upholding fraternal and sororal values. The MGC was formed in order meet the individual and collective needs of its member sororities and fraternities by promoting unity and coordinating programs, while cultivating the values of service leadership, bother/sisterhood, and scholarship. 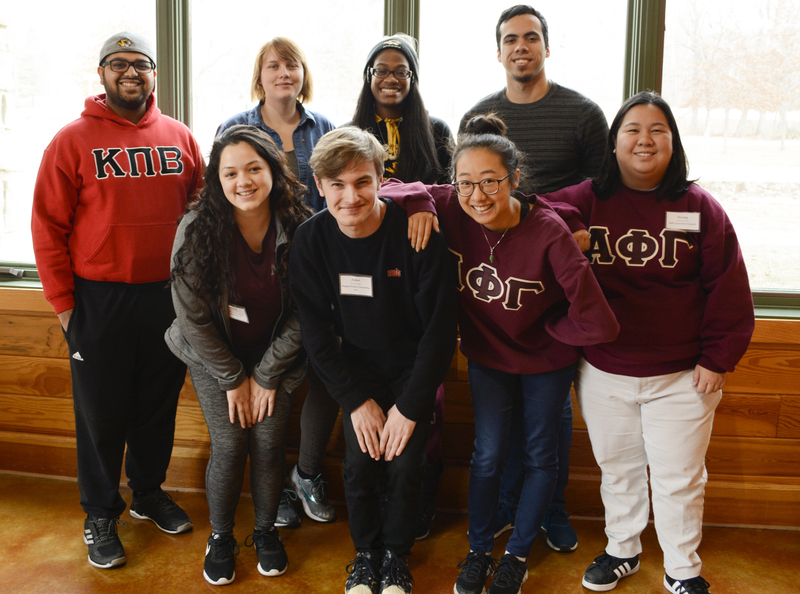 Additionally, MGC aims to launch a more diverse, cooperative existence between fraternities and sororities, and voice their concerns while maintaining good faith with the University. Members of MGC include the Eta Chapter of Alpha Phi Gamma National Sorority, Inc., Mizzou Colony of Kappa Pi Beta Fraternity, Inc., Mu Chapter of Delta Xi Nu Multicultural Sorority, Inc., and the Zeta Xi Chapter of Lambda Theta Alpha Latin Sorority, Inc., and Delta Delta Chapter of Lambda Theta Phi Latin Fraternity, Inc.